Looking for operation and parts manual for the following. Miehle vertical V 36 & Kelly “A” Flatbed cylinder. Does anyone have a manual for a Craftsmen 5x8 press? I checked Boxcar Press but I don’t think they carry it. 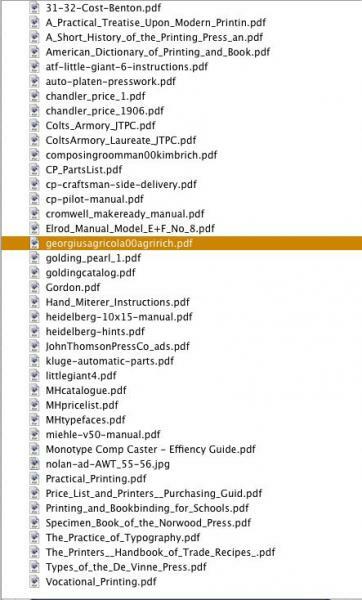 But, for both of you, I attached a screenshot of the manuals and some other PDFs I have. I can email them. As for the Craftsmen, unless you need a parts breakdown, most of the common platen presswork books (Polk, etc.) should cover what you need.